(1 Customer Reviews) | Write Review 11 issues per year Opera Now magazine takes you to the heart of the opera world, capturing all its colour and drama both on stage and behind the scenes. • Interviews with opera’s famous personalities. • Exclusive coverage of new productions, festivals, performance previews and world premieres. • Reviews of all the latest opera CDs, DVDs, books, websites and films. • Travel guides to the world’s best-loved opera venues including. • Free monthly e-news with great ticket offers and superb competitions. 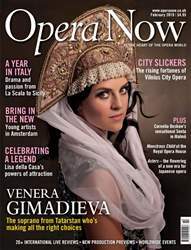 Looking for Opera Now in print? Unfortunately pocketmags.com does not sell print copies of Opera Now, but all is not lost. Our partner at magazine.co.uk sells print subscriptions at the best prices online. 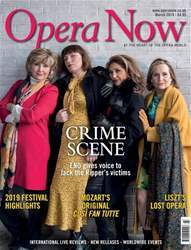 Opera Now magazine takes you to the heart of the opera world, capturing all its colour and drama both on stage and behind the scenes. 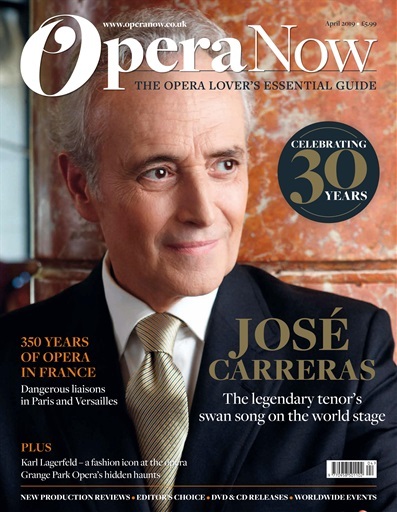 You'll receive 11 issues during a 1 year Opera Now magazine subscription. Opera Now keeps me up to date with the latest news from the world of Opera and features some excellent articles and interviews. You'll receive 11 issues during a 1 year Opera Now magazine print subscription.